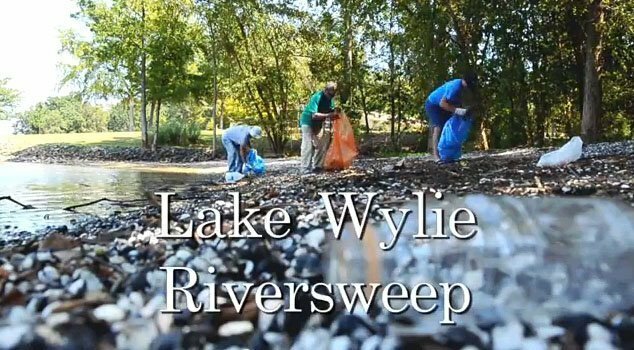 The Annual Lake Wylie Riversweep this year is Saturday Oct 5, 2013. The Catawba Riverkeeper and the Lake Wylie Marine Commission are co-sponsor’s of the lake clean up event. Here is a video promoting the event. Be a part of this yearly clean-up event on Lake Wylie. ?Give one morning out of the year to come together with other volunteers from York County, South Carolina, and Gaston and Mecklenburg Counties in North Carolina to care for your lake and your community. Your participation in picking up trash and debris along the shoreline also helps focus public attention on the importance of maintaining water quality and waterfront safety on Lake Wylie and along the Catawba River.